Just in time for summer, the Sushi Shop has launched a Summer Box of sushi delights either for delivery or to eat in shop. 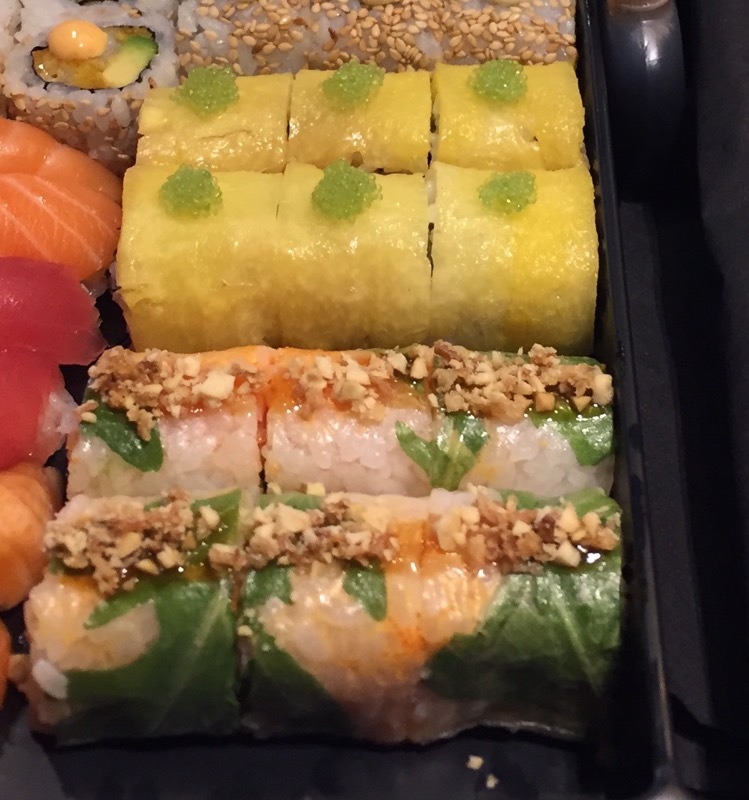 Sushi Shop specialize in home and office delivery and have a variety of boxes available as well as an interesting selection of sushi rolls and makis. Sushi Shop started in France but now have branches in 8 European countries and the UAE. Here in London they have three branches, Marylebone, Notting Hill and Old Brompton. I lunched at the Marylebone branch where I was served the Summer Box. It’s enough sushi for two and comes in a delightful Bento-style box with a special design by Papermint. It’s a limited edition box and really makes you feel like it’s summertime. Sushi Shop has a small but precise wine list. 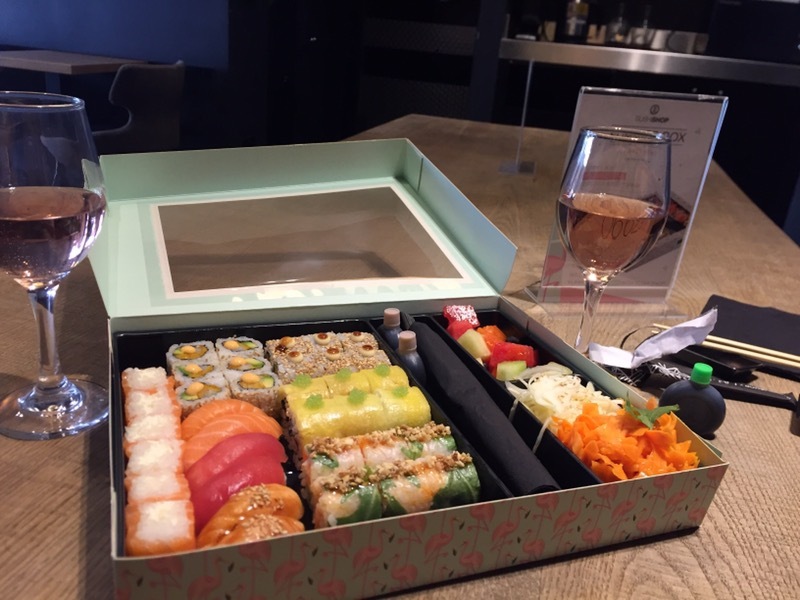 We chose a nice and light Provencal rose to pair with the sushi and it all went down a treat. They also serve Japanese beer and saki as well as a small selection of teas both hot and cold. The Summer Box includes 36 pieces of sushi, a side salad and fruit salad. The box features two new exciting rolls, the Pineapple Samba Roll which consists of yellow tail, pomegrante, pineapple, salty soya sauce, olive oil, live juice and zest, coriander and tobiko. I admit, it sounds like quite a laundry list of ingredients but somehow it all comes together and was delicious! The other new roll is the Spicy Salmon and Papaya Spring Roll which consists of salmon, papaya, avocado, spicy sauce, masago, chives, peanuts and fried onion – another unusal combination but again very tasty! I would order those two on their own! The Summer Box is avaiable now for £39.90 both in the shops and for home or office delivery.